Time to find out who exactly is this Gideon person. 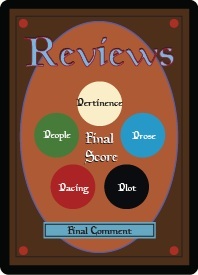 Jurl is forced to explain that he is one of Prince Velrav's takers. 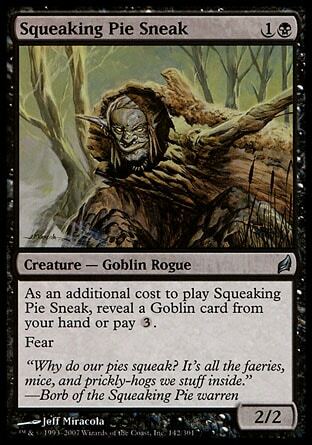 He was going to capture Chandra with the help of the other goblin, kill that goblin after she was secured, and then turn her in for a reward. But now that's he's captured, all he wants is to not be killed. Gideon tells the goblin that what he wants it to learn as much as he can about this place, and Jurl suggests he take them to the wise woman in the village. That sounds like a good plan, and Gideon frees the goblin's legs and ties his weapon around the goblin's wrists. He tells Jurl that if they're led into a trap of any kind, all he has to do is pull and his hands will be sliced off. Jurl is quite insistent that there will be no tricks. Just the wise woman. As they walk, Chandra can't help but ask Gideon questions. She's never had a chance to really talk to another planeswalker before. She asks him where he got his weapon, what he calls a sural, and he tells her he got it from his teacher, who in turn got it from his teacher before him. 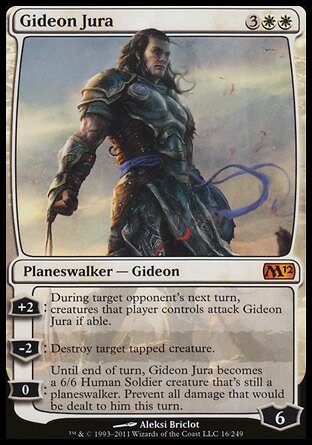 His teacher's teacher was a planeswalker, and that's how his own teacher knew what Gideon was even before Gideon himself. When Gideon tells her that he never got to meet his teacher's teacher because a pyromancer killed him, an awkward silence lingers between them. 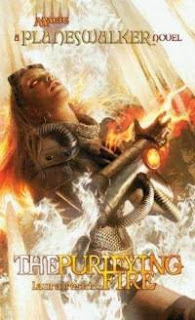 But Chandra can't stand the silence for long and resumes her questions, which Gideon is somewhat reluctant to answer. He tells her that he used to be a criminal. He used to lead a band of thieves and they would steal from the rich and give the money away. He was a good leader and idealistic, but eventually he got caught. They weren't equipped to deal with someone of his talents, so he was released into his teacher's custody. He tells her that he resisted at first, but quickly he became eager to learn. Chandra tells him that she understands, that she was like that, wanting to grow in power, and he tells her that isn't quite right. "Yes, I liked the power. I liked developing and honing it. Mostly, though..." Gideon paused pensively. "Mostly, I realized that my teacher was the first person I'd ever met who could help me find what I was looking for." "Direction. Focus. A path for my life." Direction... now that's not something Chandra had ever considered, but it's also not something she wants to think about at the moment, so the questioning continues. She asks him how he first discovered he was a planeswalker, and he tells her that his teacher recognized it first. His teacher had never known a heiromancer of his power, except for one other person. 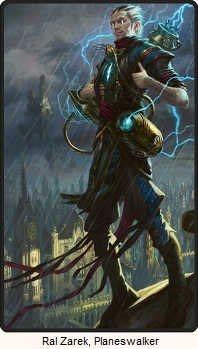 And while not a planeswalker himself, his teacher was able to teach him what he knew of the experience and of planeswalking, so when his spark finally awoke and it happened for the first time, he understood what was happening. "Did you know before it happened?" she asked in astonishment. "Not exactly. But when I felt my Spark ignite, I understood. It was …" He hesitated. "I killed someone," he said quietly. "Someone very powerful. Very dangerous. I knew I shouldn't have lived through that confrontation. Not logically. I was shocked at how much power I had accessed. I sensed a clarity in the world around me. I felt an intensity of experience, an awareness of simply being that I had never known. I had a moment, however fleeting, where I understood everything around me. I understood the Multiverse on a fundamental level, if you can imagine such a thing, so that when I slipped into the æther I knew where to go." Chandra can't imagine what that was like. She had no idea what was going on during her first trip. She didn't know what a planeswalker was or ever heard of planeswalking. Gideon says that must have been hard, and it must have taken an incredible amount of will. Only people will a strong will survive an experience like that. Well... it's time for Gideon to ask questions. He asks why she stole the scroll. Twice. She doesn't answer and instead asks him why he stole it from her. He tells her that he didn't, not exactly. He did take it from her, but he left it out in the open, hoping that someone would turn it in for a reward. He was hoping that the return of the scroll would take some of the heat off of her so she could have time to escape. He didn't know about the Enervants though or he might have been more proactive about his help. Chandra asks him who he is and why he followed her, but Jurl tells them to be quiet. Riders are coming. So Gideon is Robin Hood? Good to know. 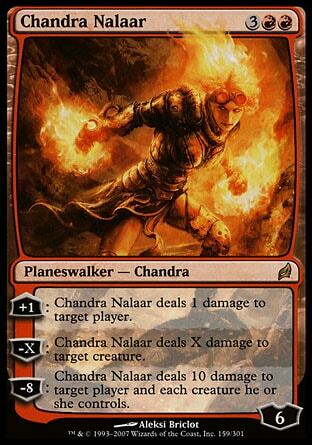 And I like how Chandra felt she could relate to him, yet miss the mark. The whole Direction vs Power part of the conversation. It's no secret that these character's personalities are linked to the flavor of their colors, and that segment summarized the differences between them quite nicely.